Korean automaker Hyundai has evolved dramatically over the past few years, to the extent that it also announced plans to launch a series of high-performance models under its new N division. 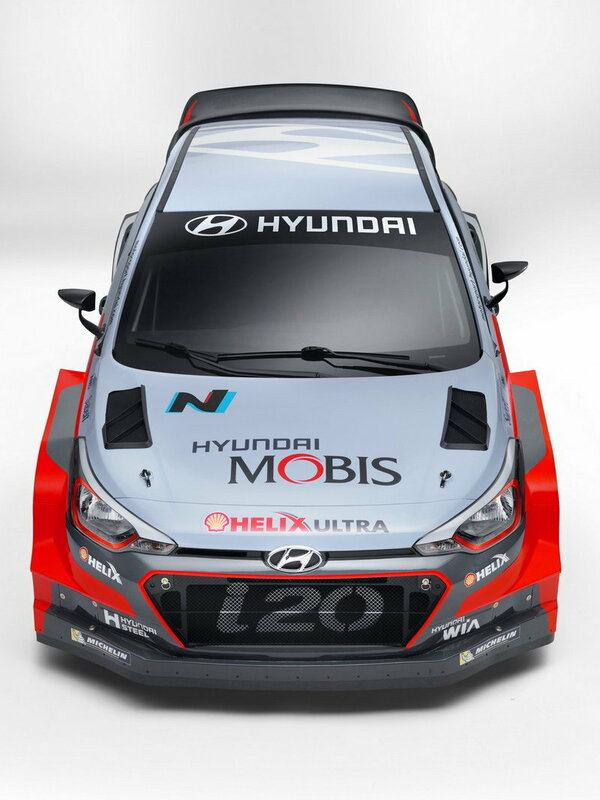 Although road-going vehicles wearing the N badge have yet to arrive, Hyundai did launch the division with the 2014 hyundai i20 WRC, which marked the brand’s return to rallying after an 11-year hiatus. Having already completed two full WRC seasons in 2014 and 2015, the i20 WRC has been updated for 2016 and showcased at the 2015 Frankfurt Motor Show. Launched alongside the 2015 Hyundai N 2025 Vision Gran Turismo concept car, the new i20 WRC has been developed at the company’s facility at the Nurburgring circuit in Germany. With the 2016 WRC season set to debut with the Monte Carlo event in January, the Korean brand unveiled the race-ready model at the team’s headquarters in Alzenau. 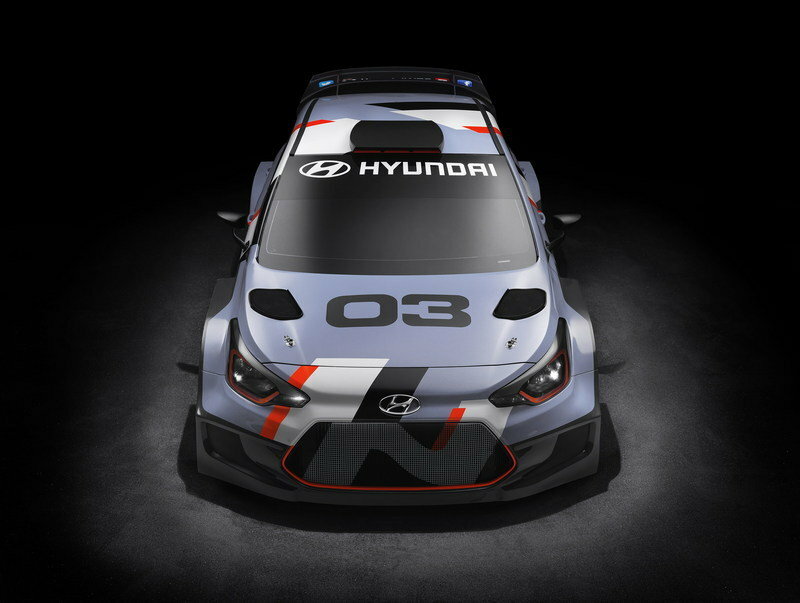 Hyundai Motorsport will field three cars in every round of the 2016 championship, with Dani Sordo, Hayden Paddon and Thierry Neuville behind the steering wheel. The team will begin its third WRC season with two new i20 WRC cars and one previous model at Rallye Monte Carlo before increasing to three 2016 cars from Rally Sweden. Hyundai also announced it is already working on a new rally car for the 2017 season. Dubbed R5, it is also based on the second-generation i20 and will be developed with help from Dutch driver Kevin Abbring throughout 2016. Development of the R5 will commence in the first half of the year with homologation to be completed in mid-2016. Privateers will be able to place orders for the new race car in the second half of the year. 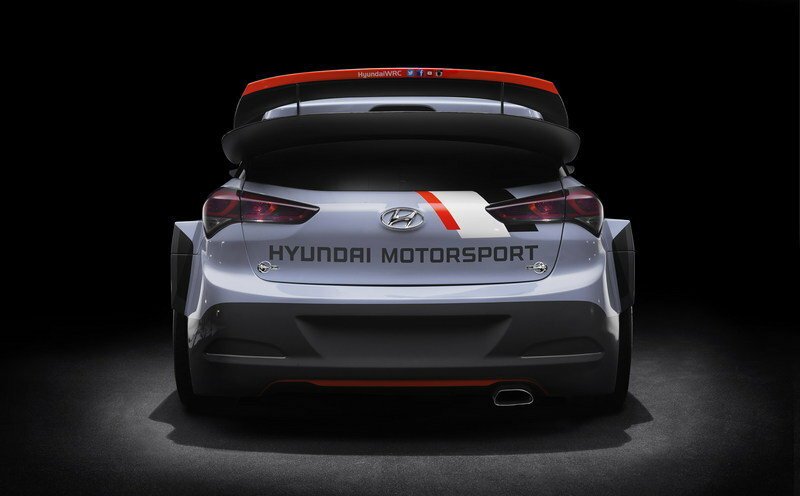 Updated 12/10/2015: Hyundai confirmed that it will enter three cars in every round of the 2016 championship. The company also confirmed it is already working on a new rally car for the 2017 season and that it should be completed in mid-2016. 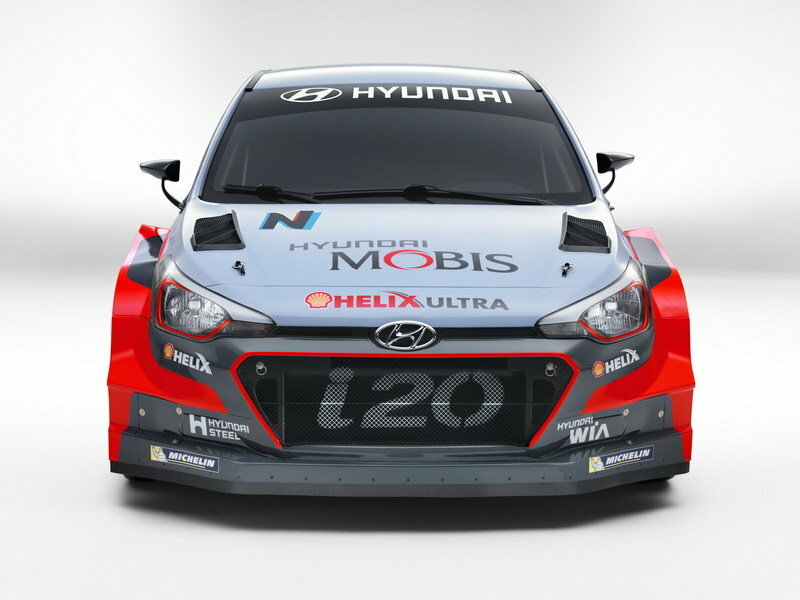 Continue reading to learn more about the 2016 Hyundai i20 WRC. 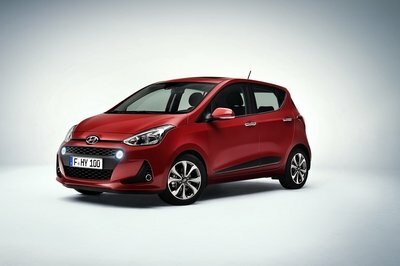 Based on the second-generation 2015 Hyundai i20 launched in late 2014, the new i20 WRC borrows the exterior design features of its road-going sibling, including the headlamps and taillights, as well as the reshaped bumpers and the overall silhouette. 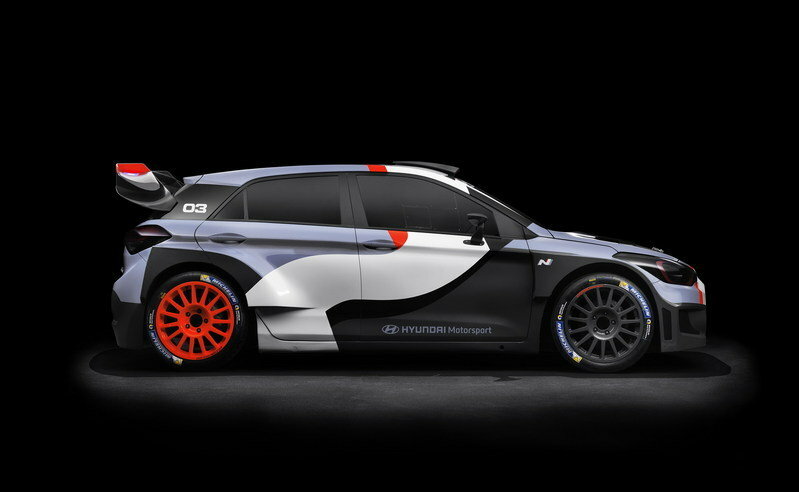 More importantly, the i20 WRC is now a five-door racer, whereas the previous car was based on the three-door version. The i20 WRC is now a five-door racer, whereas the previous car was based on the three-door version. Of course, these new styling cues were altered significantly, as rally cars feature extreme aerodynamics. As a result, the i20 WRC has wider front fenders, a redesigned bumper with a massive grille and revised air intakes, and a new engine hood with added vents and quick-release pins. Around back, although both the taillights and the bumper are nearly identical to the road car, the huge wing mounted on the tailgate changes the i20’s appearance dramatically. 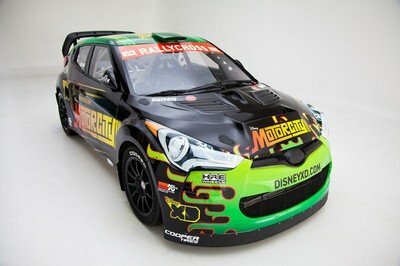 Other modifications compared to the standard car include wider rear fenders, modified side skirts, rally-spec, lightweight wheels and tires, and a roof scoop. 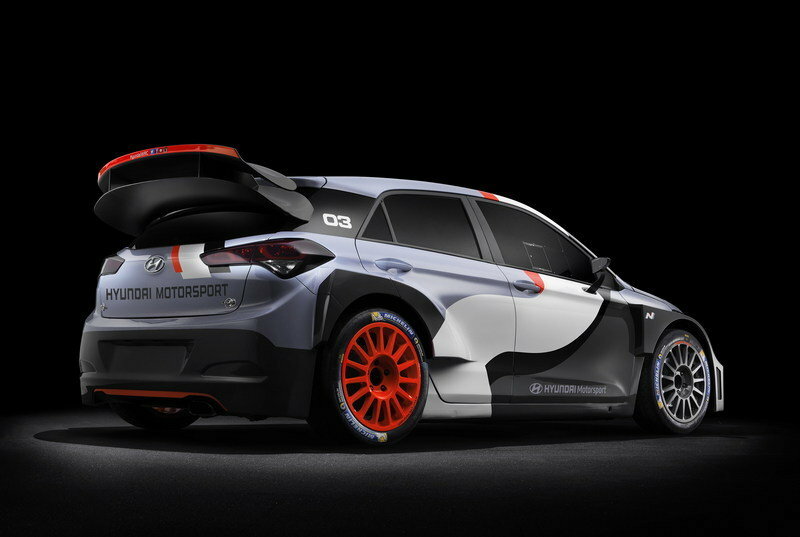 Though the body kit isn’t that different than last year’s i20 WRC, Hyundai says the new race car features optimized weight distribution and enhanced aerodynamics. 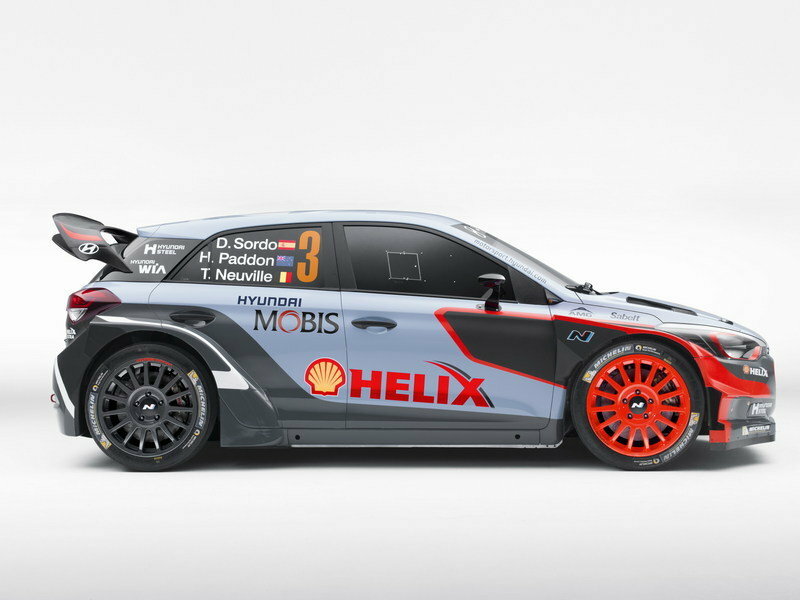 Finally, Hyundai also introduced a new livery for its Shell World Rally Team, with the Mobis World Rally Team paint scheme to be unveiled in early 2016. As usual, Hyundai had nothing to say about the car’s interior, but it’s safe to assume it will be a mild evolution of the previous i20 WRC. All told, expect the cockpit to be a stripped out version of the road-going car, with only the dashboard to retain its original configuration. The seats, steering wheel, pedals, and gear shifter will be replaced with race-spec units, while the standard instrument cluster will make way for a simpler display for the car’s vital information. An FIA-spec roll cage will round off the cabin. 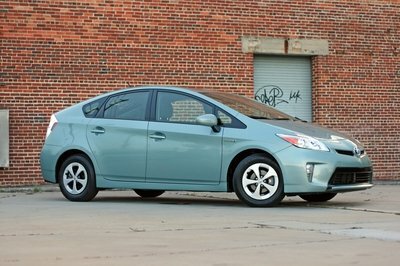 Not surprisingly, motivation comes from the same turbocharged, 1.6-liter, four-cylinder engine found in its predecessor. The four-pot is rated at 300 horsepower and 221 pound-feet of torque and mates to a six-speed sequential gearbox and an all-wheel drive system. The i20 WRC also uses a Magneti Marelli engine control unit, mechanical differentials front and rear, MacPherson struts with adjustable dampers, ventilated Brembo disc brakes, and 18-inch wheels for tarmac races and 15-inch rims for gravel events. Introduced in 2011, the DS3 WRC is currently the longest-running active nameplate in the World Rally Championship. 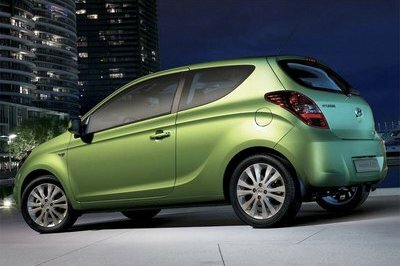 The French car is also powered by a turbocharged, 1.6-liter, four-cylinder engine mated to a Sadev six-speed sequential transmission. Having won back-to-back championships in its first two WRC seasons, the DS3 WRC lost the 2013 and 2014 titles to Volkswagen, while placing third in 2015, behind both Volkswagen and Hyundai. Citroen has already confirmed it will race in the 2016 season with an updated version of the DS3. 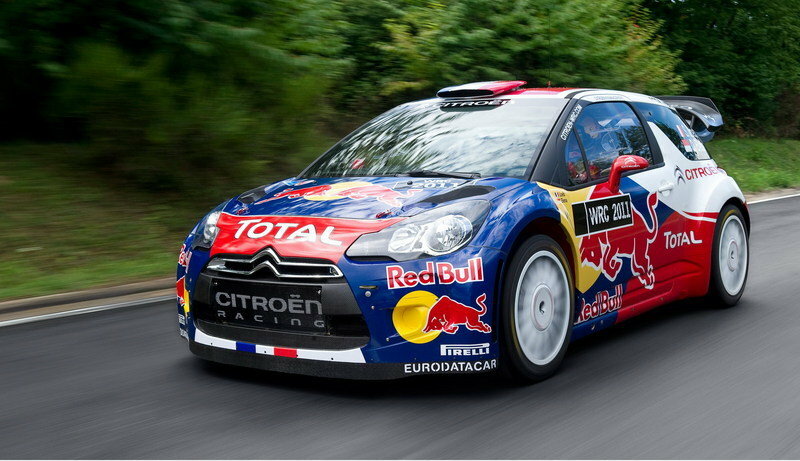 Find out more about the Citroen DS3 WRC here. Having won three manufacturers’ titles since its competition debut in 2013, the Polo R WRC is the car to beat in 2016. Motivation comes from a bespoke 1.6-liter four-banger using a turbocharger with an anti-lag system. 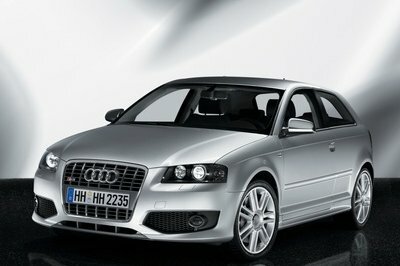 The engine mates to a six-speed sequential transmission with front and rear multi-plate limited-slip differentials. 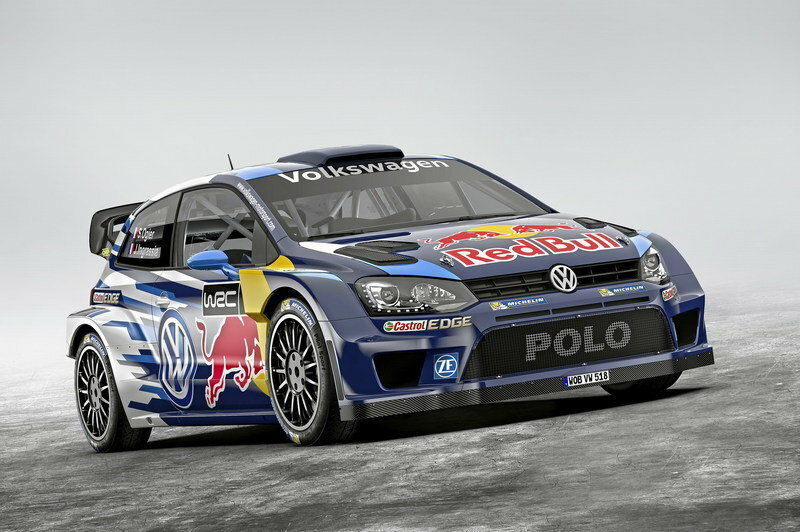 Volkswagen also confirmed its entry for 2016 with Sebastien Ogier, Jari-Matti Latvala, and Adreas Mikkelsen as drivers. Read more about the Polo R WRC here. Thanks to the i20’s new design, the WRC car is definitely more aggressive to look at, but that doesn’t necessarily mean it will be faster and more successful than its predecessor. Of course, the updated drivetrain and aerodynamics should make a difference, but the Polo R WRC is hard to beat and Hyundai needs more than just a good car. With the previous model climbing from fourth to second place in the manufacturers’ standings in 2015, anything else but giving Volkswagen a run for its money in 2016 is bound to be a disappointment. The new i20 might not win the WRC at first attempt, but it has what it takes to become a title contender in a couple of years. Hyundai Motorsport has kicked off the 2016 FIA World Rally Championship (WRC) by unveiling its brand new car, the New Generation i20 WRC, in front of 200 assembled media and guests at the team’s factory in Alzenau, Germany today. The presentation venue was particularly poignant and took place in the heart of what will be Hyundai Motorsport’s customer racing headquarters as the birthplace of the company’s upcoming R5 rally car, which is also based on the New Generation i20. Following its foundation-laying year in 2013, the team quickly developed a brand new WRC car from scratch for its first season of competition. The car proved to be both quick and reliable, securing a maiden win in Germany. From there, the team enjoyed a more consistent second season, scoring four podium finishes and fighting for second place in the Manufacturers’ Championship right up to the season finale. In early 2015, the team committed to a year-long test and development programme for a WRC specification of the road-going New Generation i20, with its competitive debut set for Rallye Monte-Carlo 2016. The New Generation i20 WRC has already accumulated 8,000km of testing prior to today’s launch, and has proven to be quicker than its predecessor, with the team’s drivers also praising improved drivability. Team Principal Michel Nandan said: "It is a special moment for all of us at Hyundai Motorsport to reveal the New Generation i20 WRC to the world today in our own home. We are entering an exciting phase in our young team’s journey, which I think will reinforce our commitment and ambition in the competitive WRC community. We have come a long way since our inaugural foundation year, and our performance in last season’s Championship gave us renewed optimism for the future. The New Generation i20 WRC is the product of a full year of development and with a more experienced team of staff, we should now raise our objectives to be more confident to fight at the front. The competition remains strong and we know our manufacturer rivals will not ease in their pursuit for victory but we want to take the fight to them in 2016." Nandan continues: "We have worked with Dani, Hayden and Thierry for two seasons now, so it is a real benefit to us that we can continue our partnership with all of them into 2016 with the New Generation i20 WRC. They have all experienced the new car and given positive reviews, so I’m looking forward to seeing them on the stages this season. We have a strong pool of drivers with a range of experience and strengths. We will not constrain ourselves by fixing specific car line-ups at each rally, instead assembling the best composition for each event to maximise our Championship chances. All three drivers will contest all rounds, including the rally in China that will be new for everyone. They will have equal opportunities in the Drivers’ Championship. We strongly believe that this is the best approach for us in our third season and we know the drivers will deliver to the best of their abilities in each rally. I’m convinced we have the most versatile driver line-up in WRC and we want to use that to our advantage." Sordo said: "I’m very motivated and can’t wait to start another season with Hyundai Motorsport behind the wheel of the New Generation i20 WRC. We had a reasonable season overall this year; we showed some good speed and set some promising times, although on a few rallies our final position didn’t reflect our pace during the event. For sure we will keep working hard to show what we are capable of achieving. We will take our experience into 2016 aiming always to be fighting for top positions and, hopefully, battling for wins. I have a lot of faith in the New Generation i20 WRC, which is a car with a completely new philosophy compared to the one we’ve used up to now - better and faster, with a good engine and chassis. I believe 2016 will be a good year for me and for the team!" Paddon said: "Everyone in the team is looking forward to an exciting 2016. With the combination of the new car and another year of experience under our belts, I am confident we can fight at the front - especially in the gravel events. 2016 is another step towards our ultimate goal and part of that process is winning our first rally. I’m excited about the New Generation i20 WRC. In the tests we have carried out so far, the car has been a big step up in all areas from the previous version, and it really suits my driving style better. While testing has been very positive, we never really know quite how we will stack up against the competition until we are on the stages - so in that regard we are all anxious to get the season started." All three drivers were present at today’s launch, which revealed a revised livery for the five-door New Generation i20 WRC, as it was shown off in public for the first time. 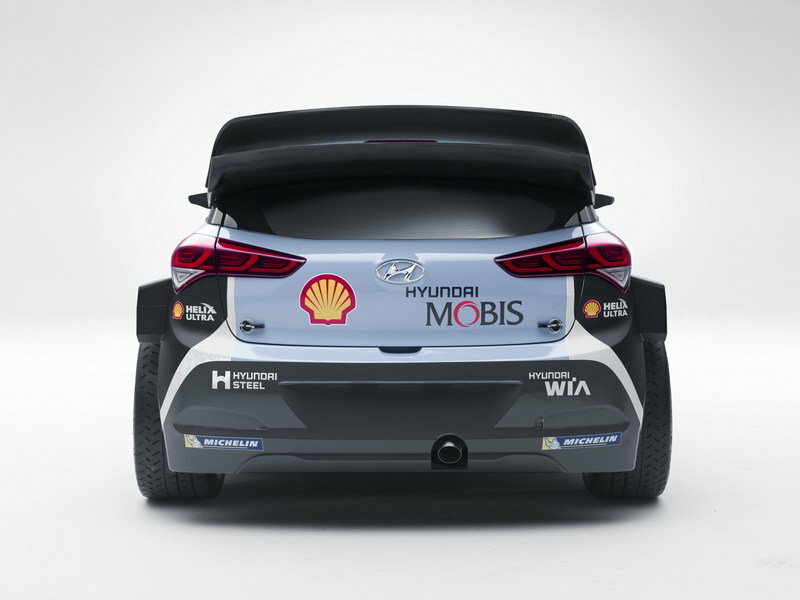 The team’s title partners Shell and Mobis both stand out on the new car, and will continue to be named as part of the two team entries - Hyundai Shell World Rally Team and Hyundai Mobis World Rally Team - with the livery of the latter due to be revealed in early 2016. The team has also retained the services of rising Dutch star Kevin Abbring, who will remain as Hyundai Motorsport Test Driver. Abbring will contest selected WRC rounds in a fourth car as part of his agreement, but his primary focus will be on managing development of the team’s 2017 WRC car and R5 activities. 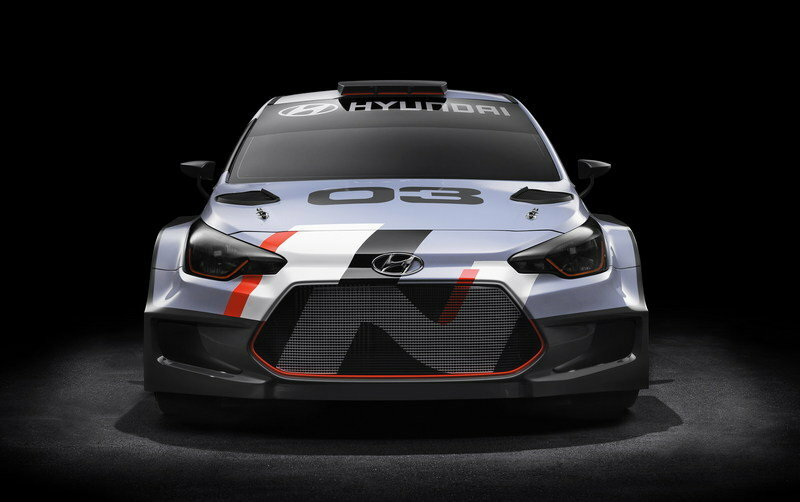 The R5 project, falling under the banner of Hyundai Motorsport’s customer racing division, will roll out in the next few weeks. There will be a development phase during the first half of 2016, homologation of the car in mid-2016, and an opening to orders in the second part of the year. Abbring commented: "It’s going to be a very busy year with the 2017 WRC car to develop and the new R5. I’m very happy my work as test driver has been highly appreciated. We all work together very hard to achieve Hyundai Motorsport’s goals and it’s great to be part of it. For someone like me, with a limited amount of WRC experience, it’s a great help to do as much testing as possible between events. R5 development will mean more driving this year and I can use my recent experience to make a better car. I’ve learned a lot in the rallies so far but on the other hand it has been hard to show my potential when only contesting some of the rounds. I’m really pleased by the trust the team has in me, and I’m really looking forward to what’s coming!" Hyundai Motorsport’s immediate focus is on the opening rally in Monte-Carlo in January, where the fierce competition for 2016 will begin in earnest.